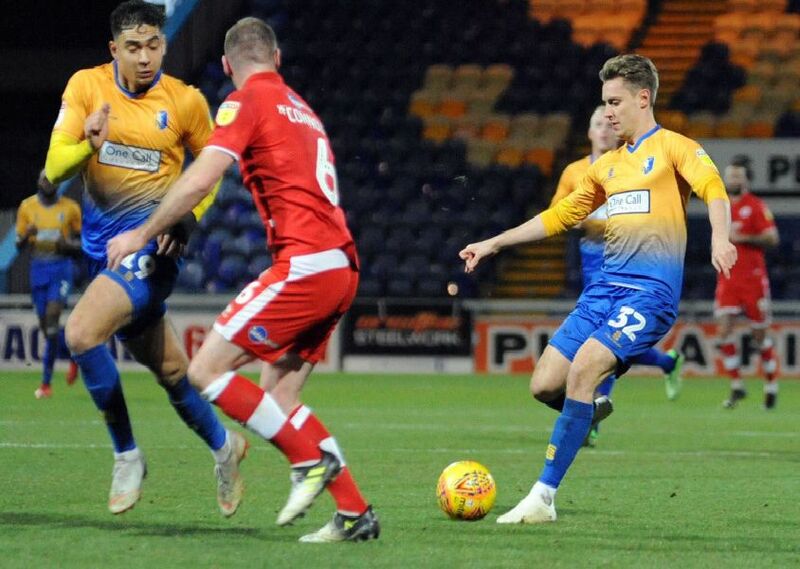 They left it late, but Mansfield Town finally saw off visiting Crawley Town 1-0 with an 88th minute Tyler Walker goal last night. The victory pushed the Stags back into the top three promotion places in League Two. Here is a selection of the best of the action on a dramatic night taken by Anne Shelley. Nicky Ajose rues a missed opportunity. Nicky Ajose comes close early in the second half. CJ Hamilton chips the keeper to see his attempt land on top of the Crawley net.